Vegetable cutlet is an easy and delicious snack made with mixed boiled and mashed vegetables. 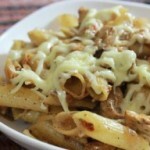 This recipe is inspired by kolkata street food. 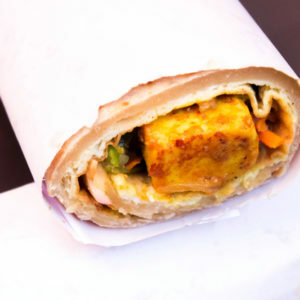 Kolkata is well known for it’s larger variety of street food and this cutlet is one of them. This cutlet has unique style of making. 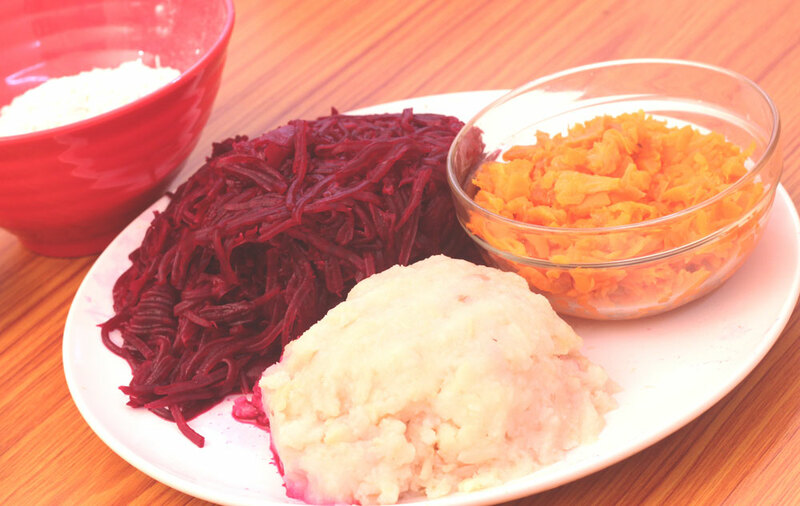 Here beetroot, potato and carrot are boiled and mashed, cooked with roasted peanuts, raisins and freshly prepared spice powder, then make in small patties and deep fried. This is the typical method of Kolkata street vendors. 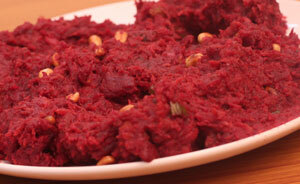 This is also known as “Beetroot Cutlet”. The unique masala mix recipe is also given in the instruction below. So read it carefully. For better understanding watch the video. This is of course healthy cutlet. 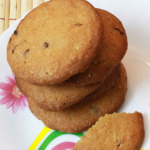 But it could be more healthier if you bake it and that is also without compromising with taste. It is as tasty as the deep fried one. 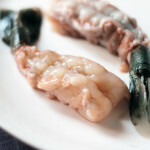 It can be served as starter for any party. I prepared for a small get together for my vegetarian friends. 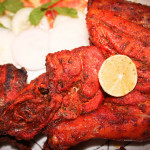 But the interesting thing is – the non vegetarian friends of mine left “Chicken Tandoori” after having this veg cutlet. When you give it bite, it will melt in mouth. So delicate it is. The addition of peanuts add nutty bite and raisin gives sweeter taste to it. Beetroot and carrot are already sweet in taste. So this vegetable cutlet is little sweet and spicy. It is no onion, no garlic recipe. So this is ideal during fast and also for Jain community. You can also check my Bengali style Fish Cutlet Recipe in my website. First roast the whole spices. After cooling grind them and keep it aside. Heat some oil. Roast peanuts and keep aside. In the same pan, add ginger paste, green chilies. Saute for few seconds. Add the boiled vegetables. Mix them together. Add salt, peanuts, raisins, red chili powder and pepper powder. Give a nice mix again. when this will be done, the mixture will stick together and leave the sides. Make a lump free batter with refined flour and water. Keep it aside. When the veggie mixture cool down, divide into small patties. Now put a patty in flour batter with the help of fork. Try not to put hands in the batter else your hand will become sticky and you have to wash the hands again and again. Let the excess of the batter drip off. Quickly put in the breadcrumbs and coat all the sides of the patty with another hand . This way prepare all the cutlet. Before frying keep the cutlets in refrigerator for 5 minutes. It will help to coat and make the cutlet little hard. So it would be more easier to fry the cutlets. Heat enough oil in pan. When the oil is hot , fry the cutlets until golden brown. Take out in a absorbent paper. Baked version: Line a baking mould. Place the cutlets. Brush oil on both sides. Put them in the preheated oven for 10-12 minutes or until crisp to 180 C.
Take out and serve with tomato ketchup and mustard sauce (Kasundi).